Burnet Consolidated Independent School District is seeing a leap in student engagement after its successful installation of new transformational learning spaces with the help of leading educational services partner MeTEOR Education. 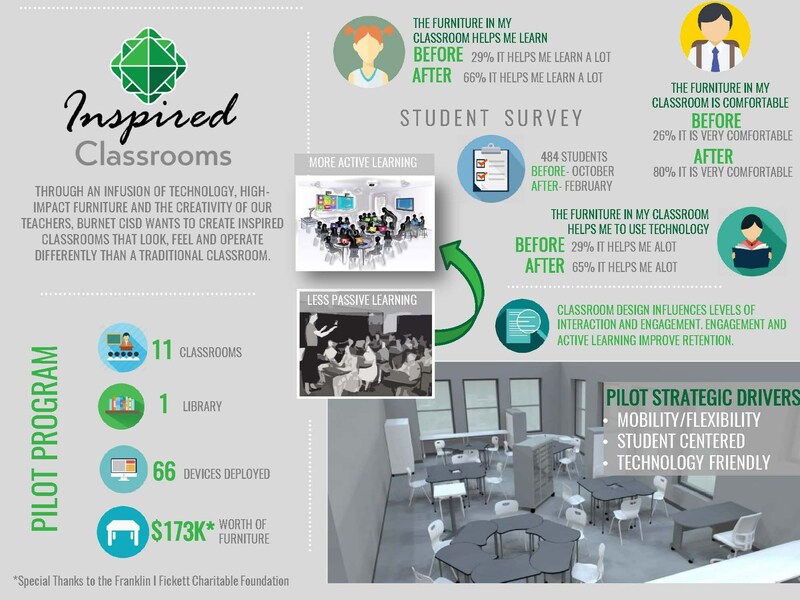 In the fall of 2016, the district began piloting the Inspired Classroom project, which uses an infusion of technology, high-impact classroom furniture and teachers’ creativity to create classrooms that look, feel and operate differently than traditional models. The pilot was made possible through a donation provided by the Franklin I Fickett Foundation.